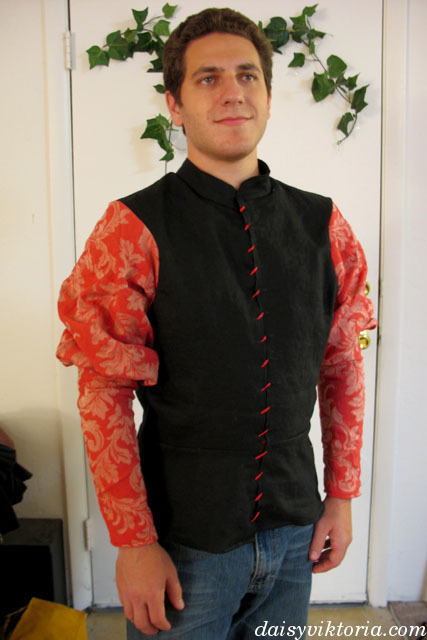 This is a men’s doublet, based on images from the Italian Renaissance. 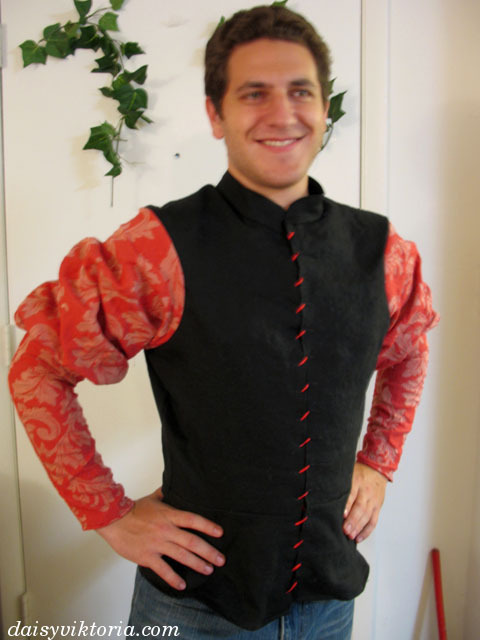 It is made of linen, with custom-dyed sleeves. I could only find white, so I found a fiber blend that would take the dye in this manner. 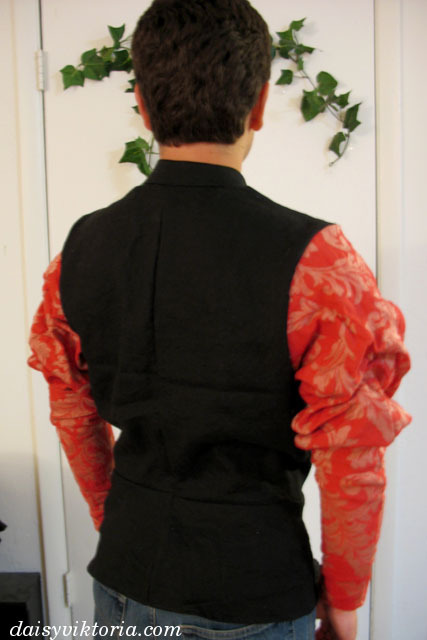 It is spiral laced in the front and is meant to be worn over a shirt with hose.